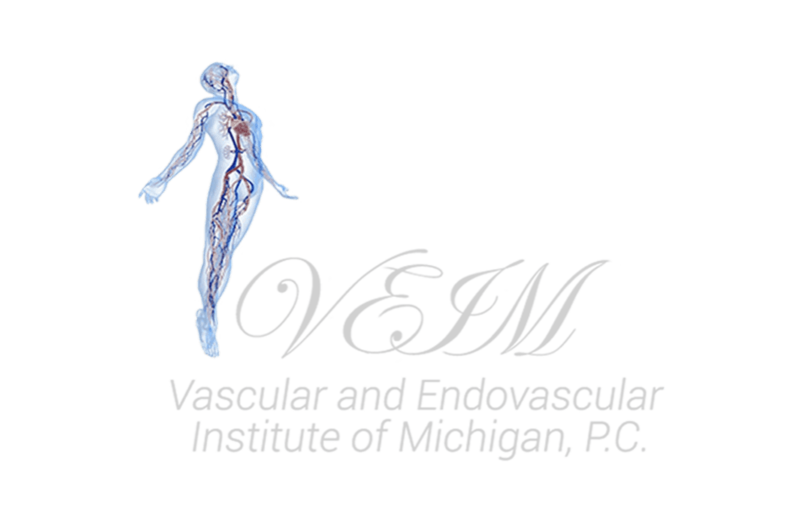 Vascular and Endovascular Institute of Michigan Blog What Causes Unsightly Veins and How Do You Treat Them? It’s amazing how the body changes with age. And, in many instances, it can be quite frustrating. It seems when we’re young the worst thing one has to deal with is a mole or acne during our teenage years. But, as we age, things in the body begin to weaken and change. As these changes occur, issues can arise that cause a variety of conditions. Many of these conditions can be both health related and manifest as a cosmetic issue as well. Take your veins for example. When we’re young, we don’t really think about our veins in any kind of meaningful way. We know they have the critical function of helping transport our blood. But, at a certain point complications around circulation can arise. There is no universal time this happens, but around middle age people begin to experience issues related to unsightly veins like varicose veins or the smaller spider veins. If you’ve noticed unsightly veins have developed in your legs, or even your face, you’ve no doubt wondered how you can get rid of them. While it may not offer much comfort, it’s important to know these are very common conditions. If you’re one of the millions suffering with varicose veins or spider veins, it’s important to get the facts on them and to explore what treatments options you have. The appearance of these veins can in fact be reduced. Here is what you need to know about treating varicose veins and spider veins. The most frustrating thing about varicose veins may not be that they are not attractive looking and can cause you to feel self-conscious. It might be the pain. What many people don’t realize about varicose veins until they develop them is that they can be very uncomfortable. There are a variety of causes that could be behind your development of varicose veins. Age is often the most common cause, though pregnancy, obesity, and circulatory issues due to lifestyle are also common causes. Unfortunately, varicose veins are also more common in women. When varicose veins develop, what is essentially happening is the veins lose some of the strength and elasticity required to push blood up through the legs. That blood pools and causes the veins to swell up. This is why they become so visible and hurt. How are spider veins different? Spider veins are similar to varicose veins, though they are a little different. Spider veins are small and thin while varicose veins look thick and almost like rope. Spider veins can be seen as a step towards varicose veins. Though spider veins are usually harmless (though perhaps a symptom of poor circulation), varicose veins are the result of pooled blood which can lead to painful swelling, ulcers, and even blood clots. Because these veins can be an indicator of increased risk of deep vein thrombosis, it’s important to speak to your doctor about them. These prominent veins need to be addressed for more than aesthetic reasons. Usually professional treatment is required in order to eliminate unsightly veins. There are a variety of treatment options that can be used depending on your own individual circumstances. Sclerotherapy has been used successfully to treat both varicose veins and spider veins. First, a caveat. If you’re pregnant or on birth control pills, this procedure shouldn’t be performed. Additionally, if you’ve had blood clotting issues in the past, you may not be eligible for this particular procedure. That’s because what happens is a chemical agent is injected into the veins in conjunction with a topical laser. The two treatments seal up the vein and redirect blood flow. Eventually, the body reabsorbs the destroyed vein. The procedure takes about a half hour and causes little discomfort. Because sclerotherapy isn’t for everyone, other treatments can include ablation which is the insertion of tiny electrodes that destroy the veins. Vein stripping is another procedure which removes the veins from the leg via a small hook. No matter what procedure you end up undergoing, self-care is important as well. Compression socks and regular exercise can help reduce issues caused by varicose or spider veins. Not only can varicose veins and spider veins cause you to be self-conscious about wearing shorts or going to the beach, they can also be painful and signal other underlying health issues. That’s why it’s so important to seek out treatment for them. But, there’s only one way to know what your individual treatment options are. You need to speak with your doctor. Contact us today to schedule an appointment. Dr. Youssef Rizk and the team at Vascular and Endovascular Institute of Michigan are here to provide you with the care you need so you can get your self-confidence back and reclaim your comfort. Women aren’t the only ones who want to get rid of excess body hair and reveal smooth skin. If you’re a man with an overly hairy torso, legs, or arms, you may feel uncomfortable and self-conscious.